We woke on Monday to a clear blue sky and the first frost of the season. After breakfast we packed up and set off down R64 to connect with Route 66 again in Williams. We saw the deer crossing the road just before we left the National Park and it felt just like Scotland as we were still in the pine forest. 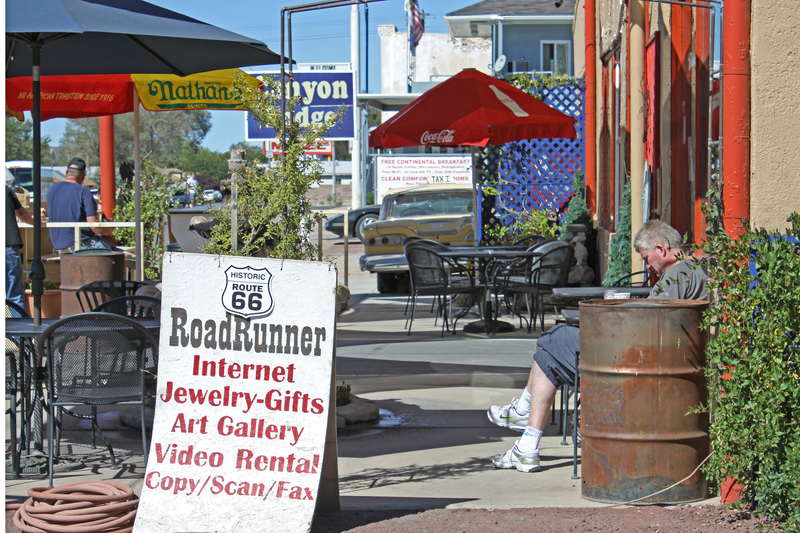 There are a few photo opportunities in Williams, Seligman and other towns along R66. Seligman is a real tourist magnet for some reason but we enjoyed the drive away from the interstate all the way to Kingman. 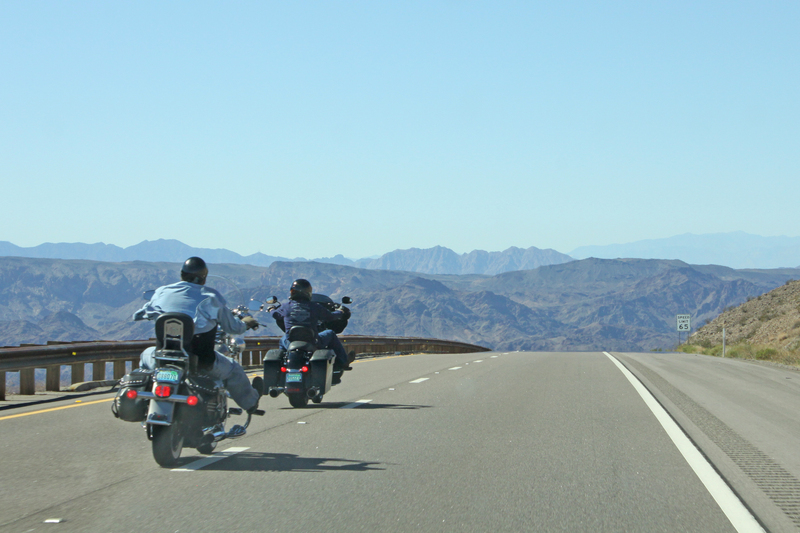 We left R66 there and headed north along the Colorado River for our next diversion: Las Vegas. Not really my kind of town but the approach through the mountains was spectacular and we also got a look at the Hoover Dam. 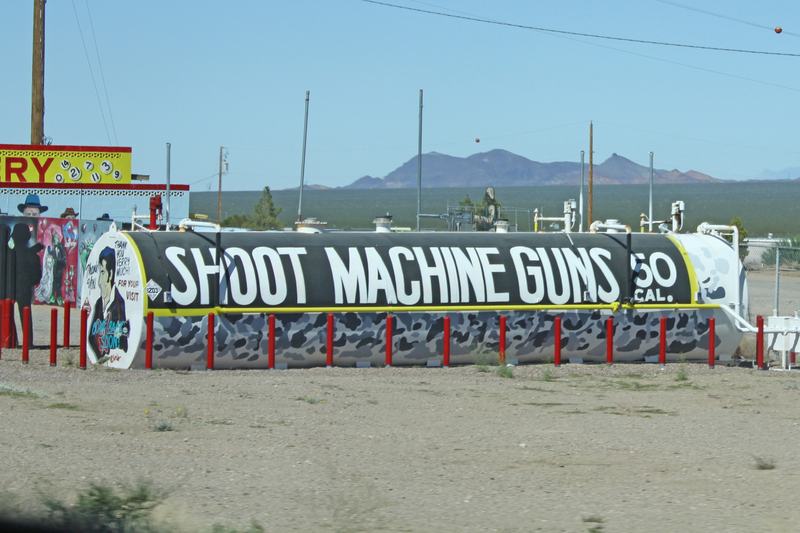 Also weird were the signs advertising machine gun shooting. I still can’t get over being able to buy a gun in Walmart but not a bottle of wine and being asked for ID in one store when I was buying wine. I did enjoy getting an ‘over 50’ discount in one outlet store we visited in Las Vegas. 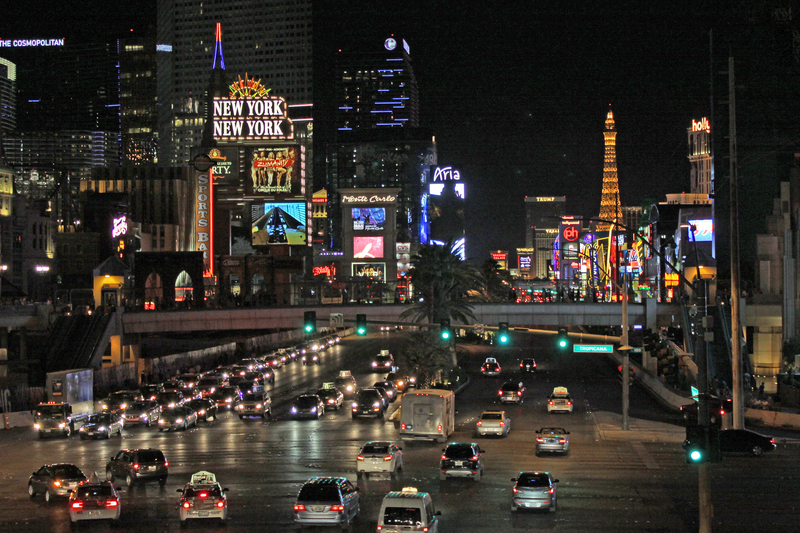 James was keen to see the strip at night so we had a wander but other than some shopping we spent the rest of the day relaxing by the pool.